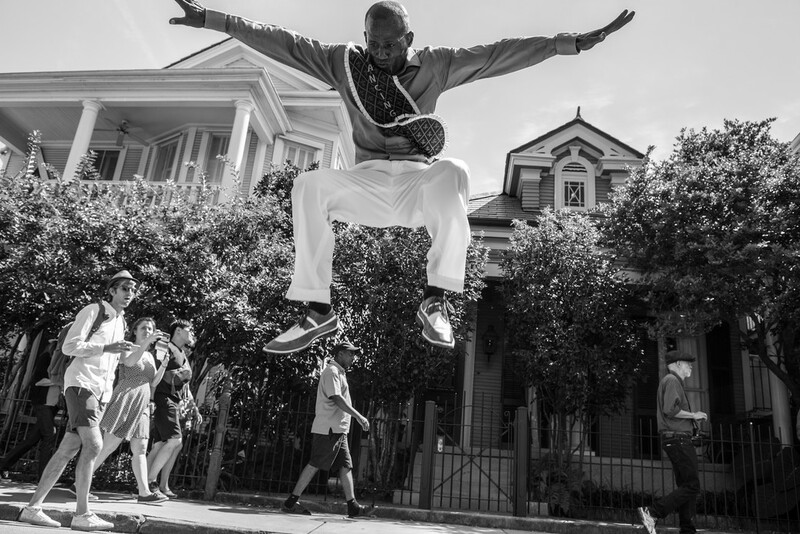 Most Sunday afternoons in New Orleans’ historically black neighborhoods, hundreds and sometimes thousands of people parade through the streets behind a brass band, dancing, chanting, and otherwise doing as they please. 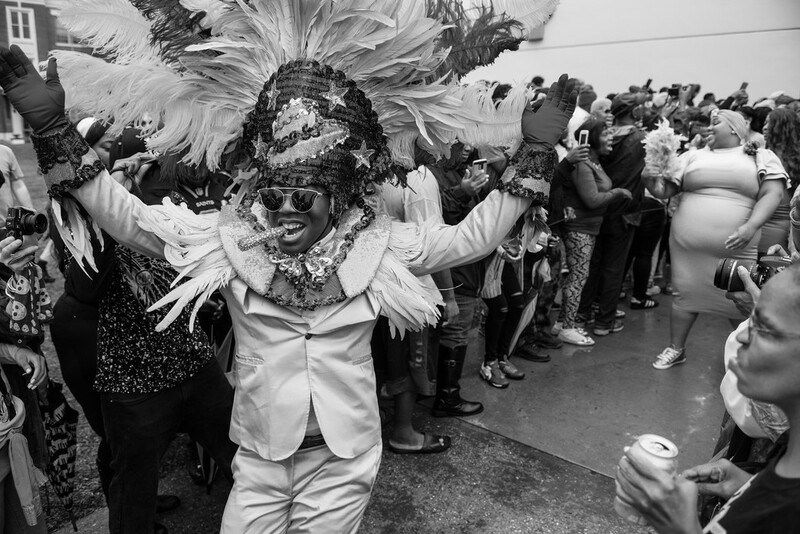 The band follows a group called a “social aid and pleasure club,” which is composed of men or women typically wearing matching suits and hats in vivid colors, and waving ostrich-plume fans and other attention-getting accessories. Clubs often designate ‘royalty’ to ride along in convertibles or on small floats—men in tuxedos, women in cocktail dresses and tiaras. They pause at bars, where vendors parked in pick-up trucks sell barbecue chicken and sausage po-boys to keep the party fueled. Along the way, they might also honor a deceased member by having the band play a dirge outside of her house. Jazz was born in these vibrant neighborhoods around the turn of the 20th century. 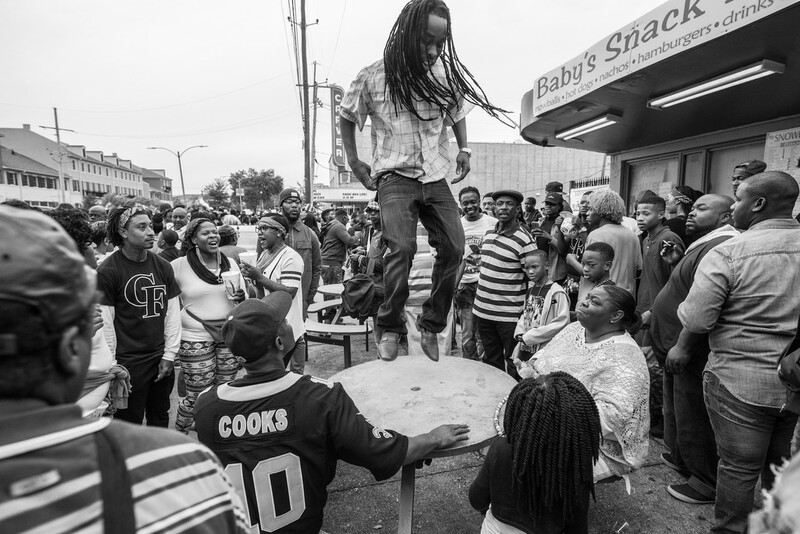 It attracted throngs of black people and made everybody’s hips swing, which alarmed authorities. 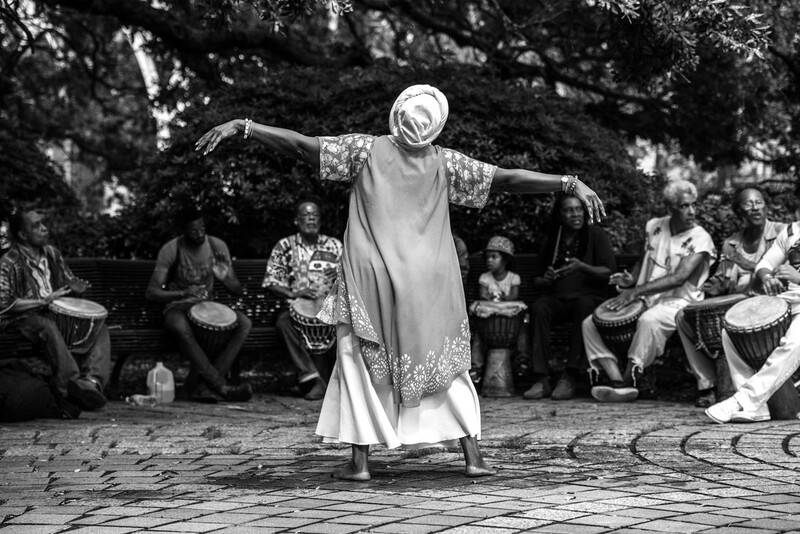 On Sundays, the original day off for slaves in the French colony, residents gathered to drum and dance, sustaining African cultural expressions in the New World. City ordinances eventually suppressed this practice. 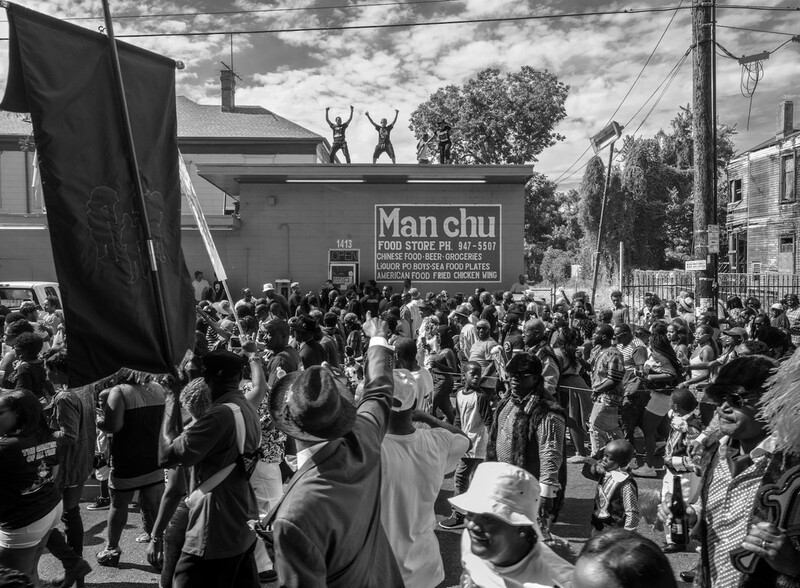 But the music’s infectious rhythms and energetic, solidarity-building social function persisted. Both these elements were fundamental to the creation of jazz. Some of the original patrons of the music genre were black benevolent societies, which provided burial insurance and other benefits to people who were denied mainstream services on racial grounds. They hired brass bands for parades, including, famously, funeral processions. (Jazz funerals still occur for musicians and club members, and for others whose survivors hire brass bands for the occasion). These societies evolved into the social aid and pleasure clubs, which constitute the “main line” of the parade. 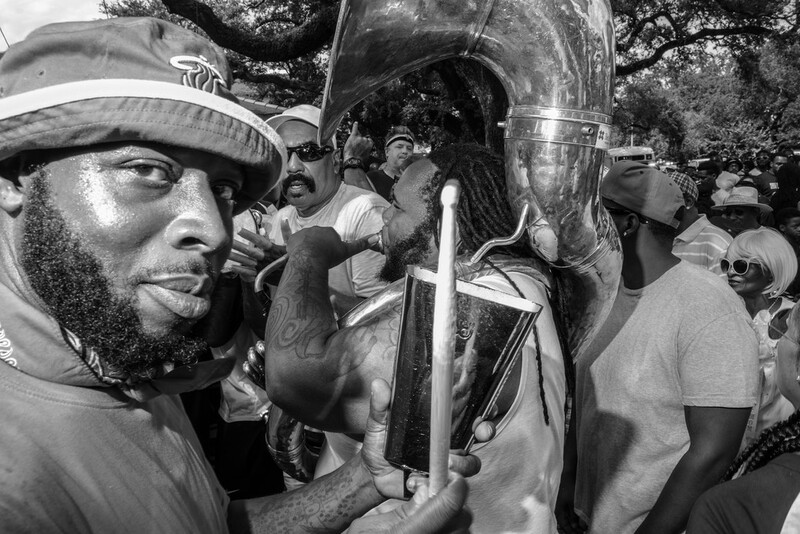 The volunteer revelers who fell in behind the clubs and the hired brass bands formed an informal “second line,” hence the name. 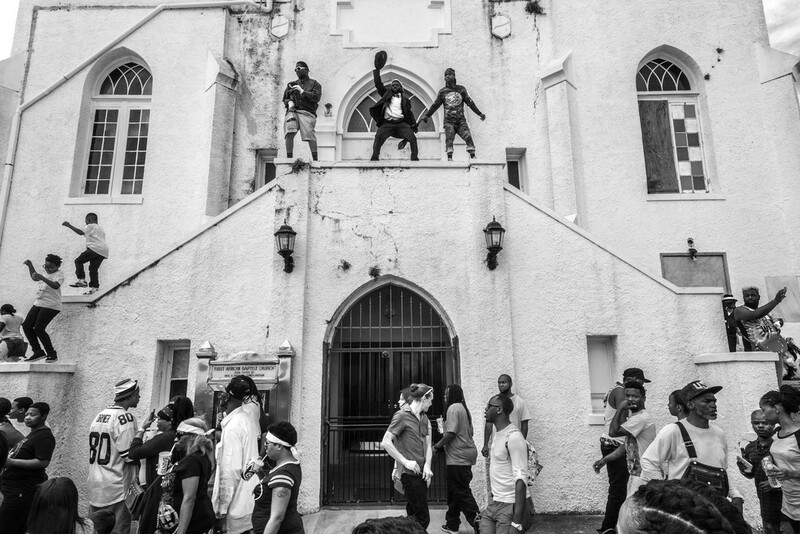 Under Southern racial segregation policies (an infamous set of laws known as “Jim Crow”) that persisted in New Orleans into the sixties, second lines served as charged appropriations of public space, assertions of a black cultural identity, and, above all, sources of pride for the club members in their finery, and everyone else by association. 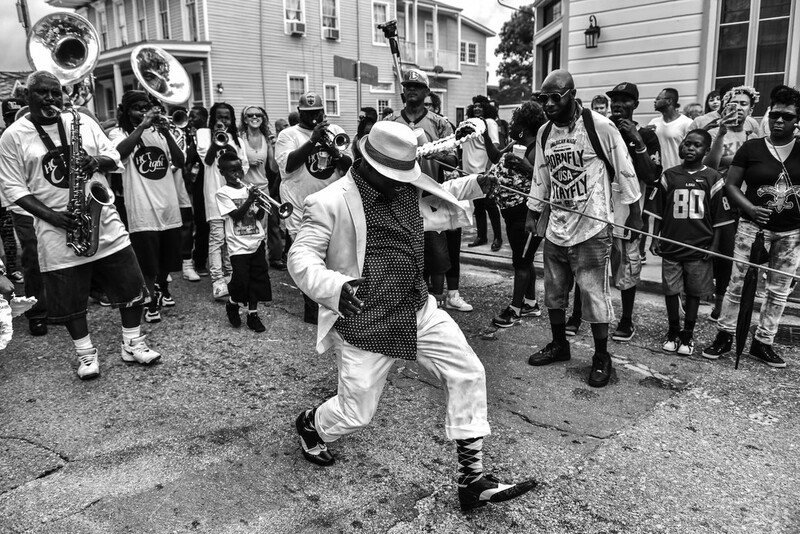 Second lining gained popularity in the 1980s and 90s, when brass bands developed a new, hard-hitting style that incorporated elements of hip-hop and hooks from R&B and pop songs. 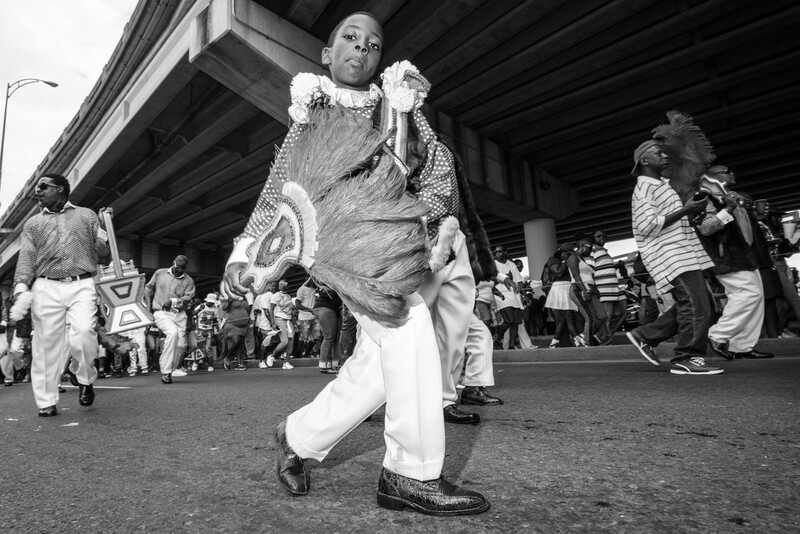 The music’s function, though, has changed little: Brass bands still play live and unplugged for lifecycle events like weddings and funerals, and they remain the engines of second lines, inspiring a distinctive, strutting style of dance, traceable to Africa, called ‘buckjumping.’ Dancers shimmy across front porches, vault over garbage cans, even hop from rooftop to rooftop along the parade route. 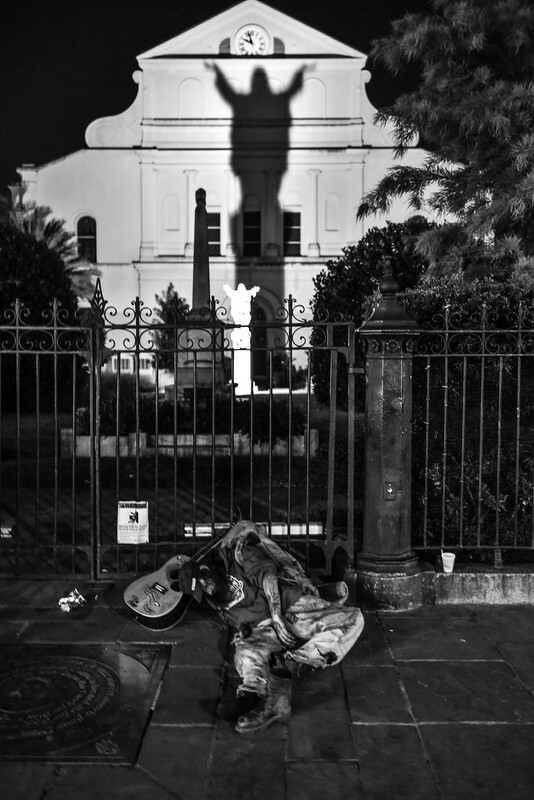 The neighborhoods where jazz was born have grown whiter and more affluent since the flood following Hurricane Katrina in 2005, which permanently displaced tens of thousands of black households. 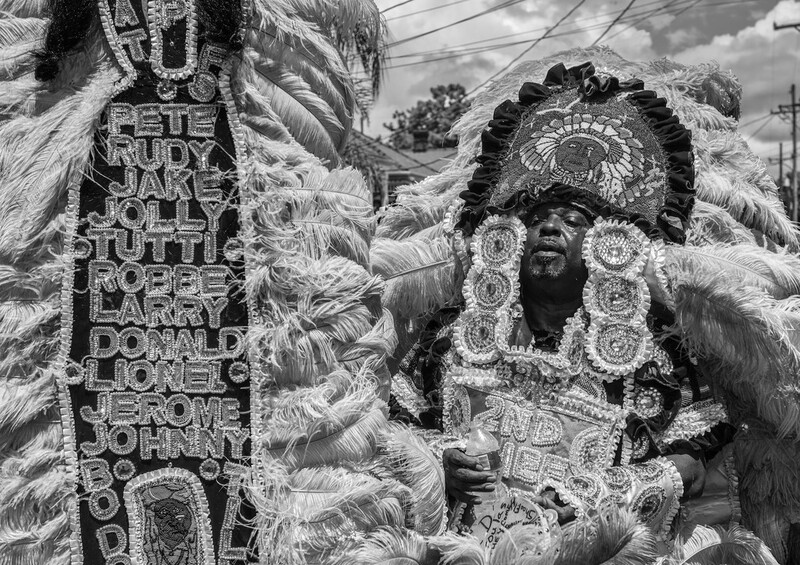 But the clubs continue to take their traditional parade routes through these districts, often tracing the footprint of public housing developments that were demolished a decade ago. 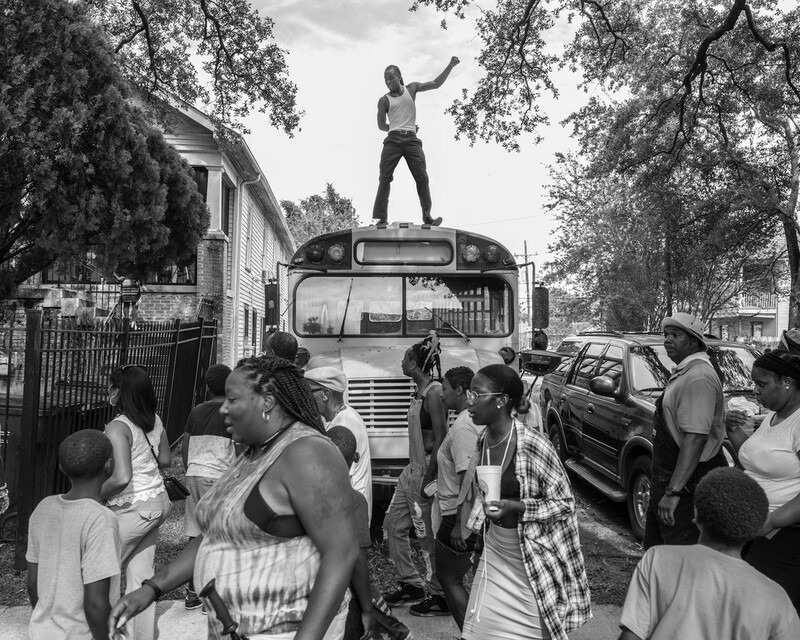 They’re determined to keep high-stepping down these streets, even if they have to walk away when the music stops.